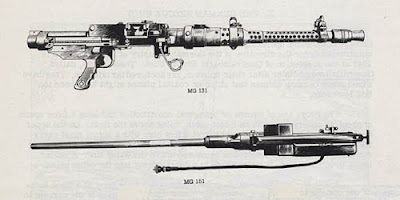 The MG 131 (shortened from German: Maschinengewehr 131, or "Machine gun 131") was a German 13 mm caliber machine gun developed in 1938 by Rheinmetall-Borsig and produced from 1940 to 1945. 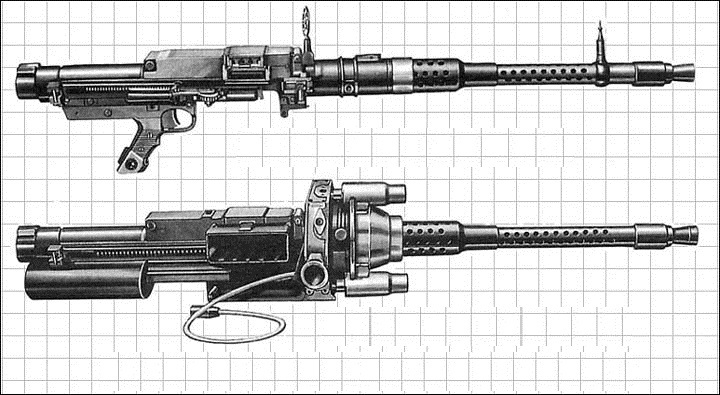 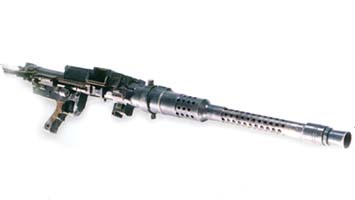 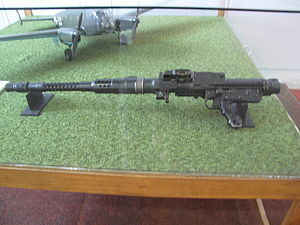 The MG 131 was designed for use at fixed, flexible or turreted, single or twin mountings in Luftwaffe aircraft during World War II. 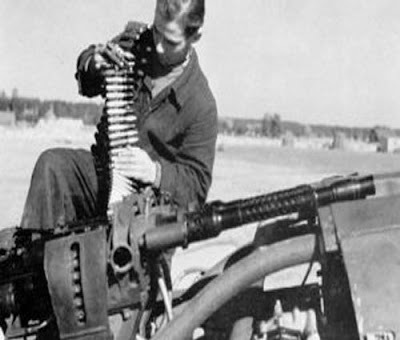 It was installed in the Messerschmitt Bf 109, Me 410 Hornisse, Fw 190, Ju 88, Junkers Ju 388, He 177 Greif bomber, and many other aircraft. 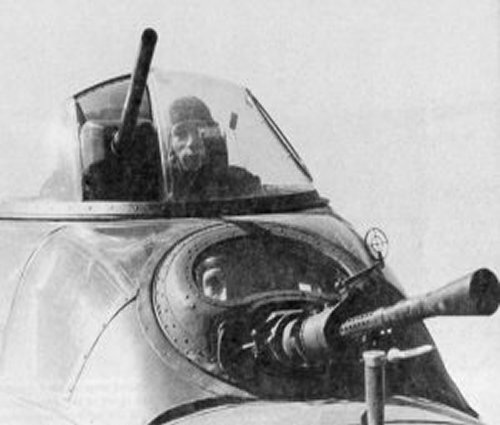 The Fernbedienbare Drehlafette FDL 131Z remotely-controlled gun turret system, used as a forward-mount dorsal turret on the He 177A, used two MG 131s for dorsal defense, with the experimental Hecklafette HL 131V manned aircraft tail turret design, meant to be standardized on the never-built A-6 version of the He 177A, was also meant for standardization on many late-war prototype developments of German heavy bomber airframes such as the separately developed four engined He 177B and the 1943-44 Amerika Bomber design contender from Heinkel, the Heinkel He 277, both airframes being intended to use the HL 131V tail turret unit mounting four MG 131s, two mounted on rotating exterior elevation carriages on either side of the seated gunner, with horizontal traverse executed by the turret's rotation. The Hecklafette tail turret design was never produced beyond a small number of prototype and test examples from 1943 onwards, with few relics of their existence remaining. 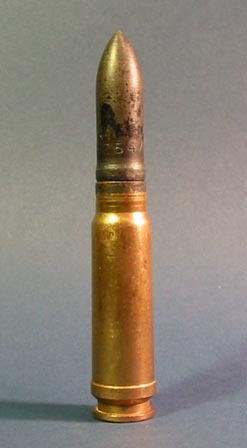 The MG 131 fired electrically primed ammunition in order to sustain a high rate of fire when shooting through the propeller disc of a single-engined fighter. 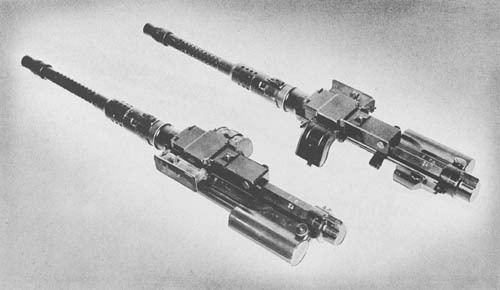 A pair of MG 131 machine guns was used as cowl armament on later models of the Bf 109G (which originally required one blister or Beule on each side of the fuselage, flanking the upper rear end of the engine, to house the larger breech of the new gun) and the Fw 190.